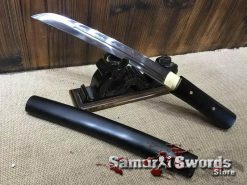 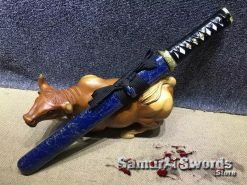 This Tanto is a small yet durable weapon that has a blade sharpened to perfection, allowing you to have a fully functional samurai sword. 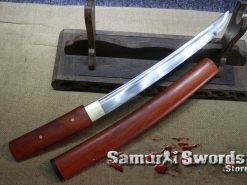 It is full tang which means that the blades metal extends all the way to the tsuka (handle), making it a great and solid piece to have. 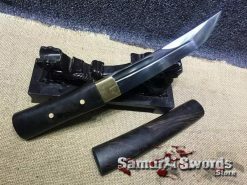 The steel used to create this Tanto is high quality T10 steel that has been clay tempered. 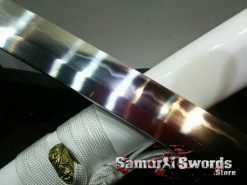 This type of steel consists of 1% carbon and its blade has an HRC hardness of sixty-two. 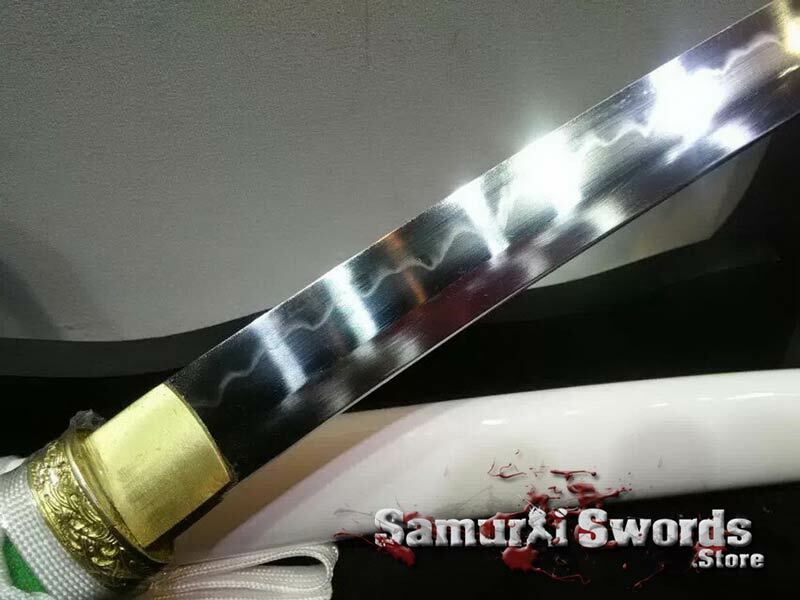 The Tanto T10 Steel has grown popular for its toughness, durability, and hardness. 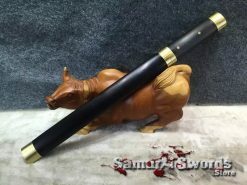 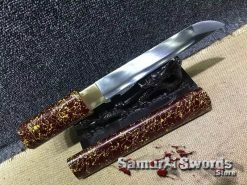 Since this is clay tempered, the blade has a tough edge and a soft spine; its sharp side is hardened to maintain a razor sharp edge while the spine is kept soft, allowing it to bend without breaking. 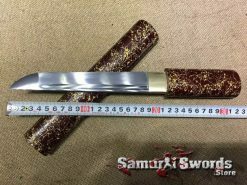 For the fittings (the tsuba, fuchi, and kashira), these are all made from metal alloys except for the menuki which is made from brass. 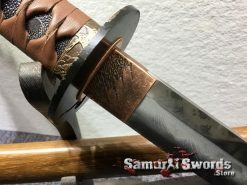 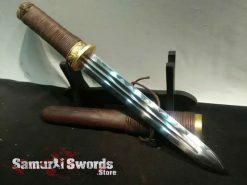 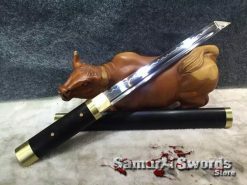 This samurai Tanto has a blade that measures twenty-five centimeters in length while its width is 2.8 centimeters; all in all, its total weight less than one kilogram. 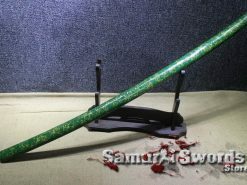 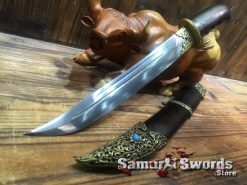 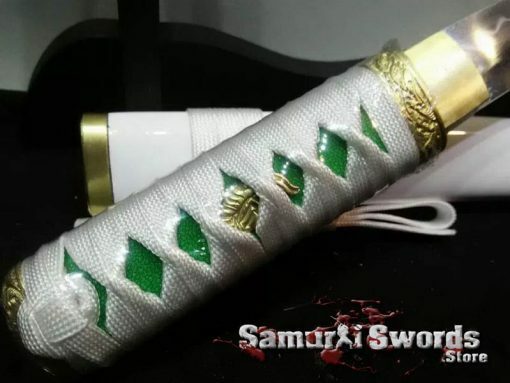 Its tsuka measures eleven centimeters long and is covered with an authentic ray skin that has an attractive green shade; plus, the white rayon silk wrap adds more beauty and appeal to the weapon. 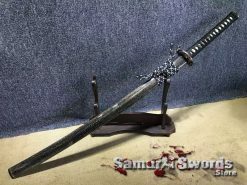 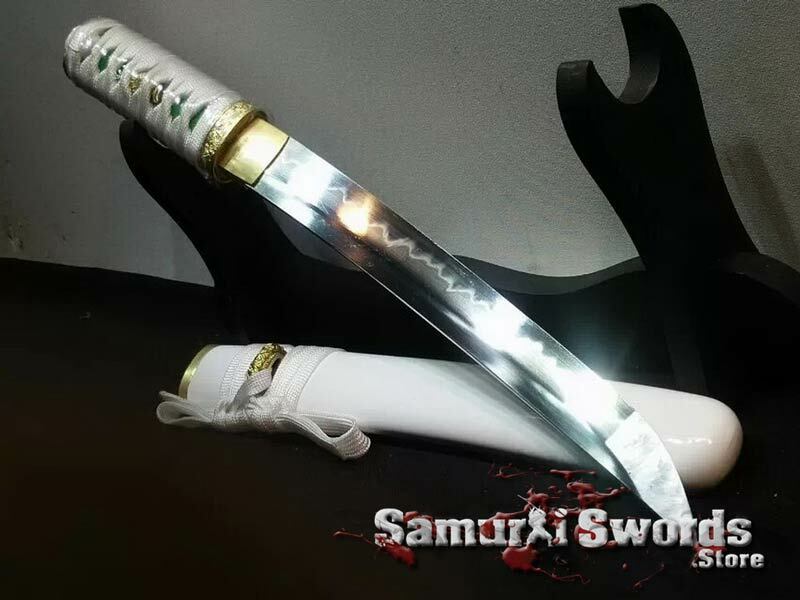 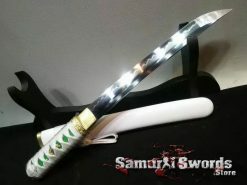 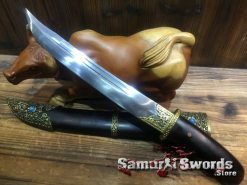 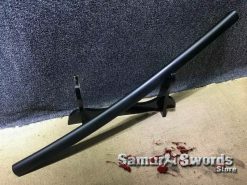 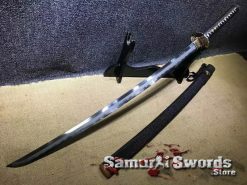 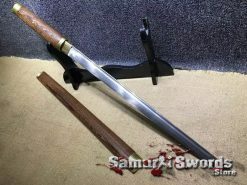 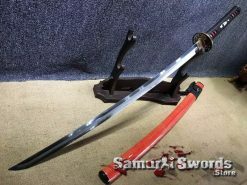 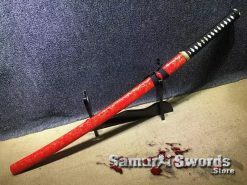 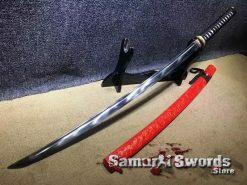 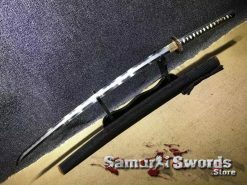 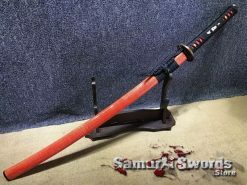 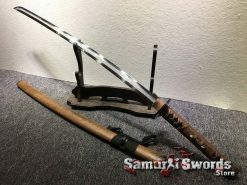 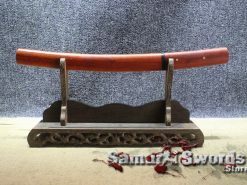 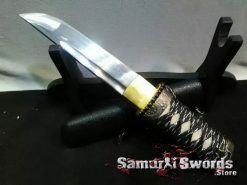 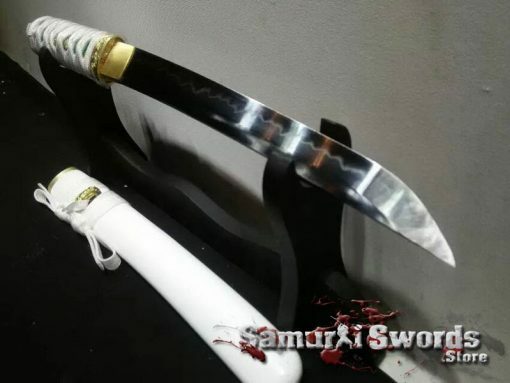 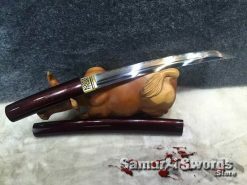 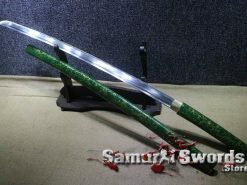 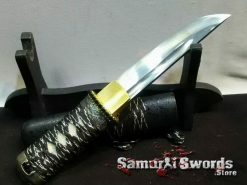 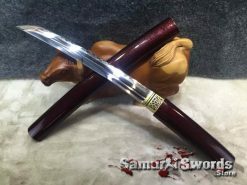 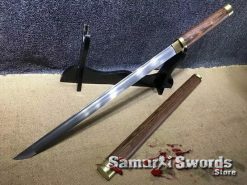 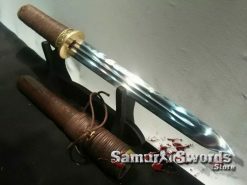 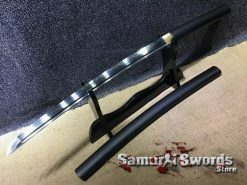 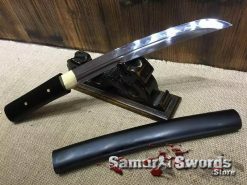 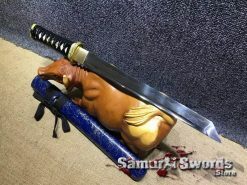 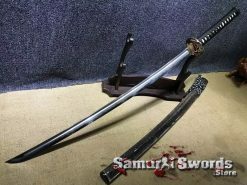 This samurai sword has a white saya that will safeguard the blade. and it also comes with a sword silk bag.